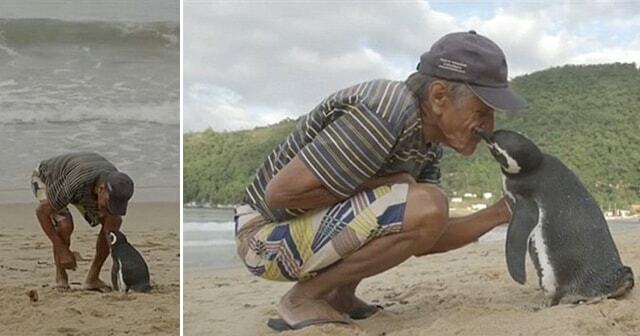 On a beach in the village of Provetá in Ilha Grande Brazil, João Pereira de Souza, a retired construction worker, saw an oil-drenched Magellanic penguin lying on the beach near his shanty in the village of Provetá in Ilha Grande, Brazil on the 20th of March, 2011. 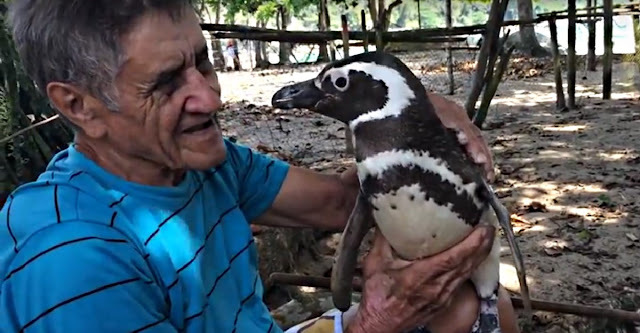 The penguin is in it's a dying state where João, now 71-years old, finds compassion towards the penguin, so he took it home and addressed to its condition. He took care of the penguin and made it as his pet. He also kept feeding it with sardines and named the penguin, Jinjing. That was the start of this unique friendship between the two of them. Jinjing usually pays his visit to his friend most of the time even it leaves Ilha Grande for days or even months to mingle with its penguin friends. He seeks refuge to De Souza's home in his faraway village. Both of them always spends time together by swimming in the sea and going for long walks as if they both find themselves as each others buddy. In the Wall Street Journal, a story by Paul Kiernan explained the real meaning behind the name Jinjing which meant as a "term of endearment in parts of Brazil.” It was later considered that the penguin became the village mascot of the island of Ilha Grande which is cherished by its 1,300 residents. When João remembers his encounter with Jinjing in 2011, he thought the penguin would swim away from the shore if it becomes better. The bird was brought to shore and encourages it to leave and go back to its home. “He took a drink of water and then came back to the beach. So I gave him three more sardines, and that was it: He never left me again,” he narrated. 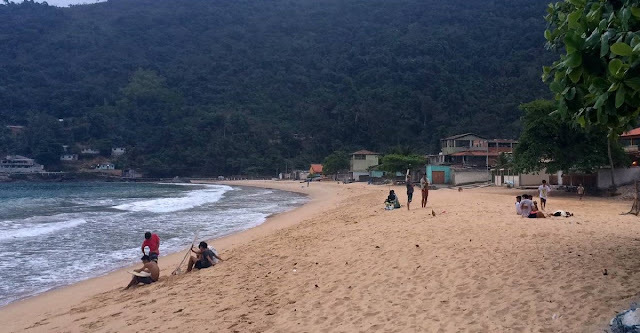 Jinjing usually leaves Ilha Grande in February then returns for a long time to De Souza in June. De Souza's daughter states that he treats the penguin as his son. It means that Jinjing specifically chose his savior as his best friend. “He’s jealous for me. He doesn’t let any dog or cat near me or else he goes after them and pecks," João explained. 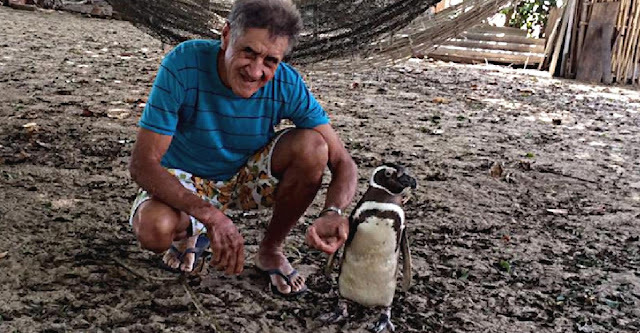 Mery Alves de Souza, João's daughter, explained that his father spends too much time with the penguin as if it's like a father and son bonding. With this, it's really hard to ask him to visit his "real children" in Rio de Janeiro which is far away from Ilha Grande. Despite their indifference, João and Jinjing seem like they are soul mates that is why we could not merely judge the bond between an animal and a person. What are your thoughts on this unique friendship? Share this article!